HA NOI (VNS) — Viet Nam's Grandmaster Le Quang Liem has jumped 13 spots to 52nd in the world rankings. He performed impressively in recent tournaments, winning two individual and one team titles. 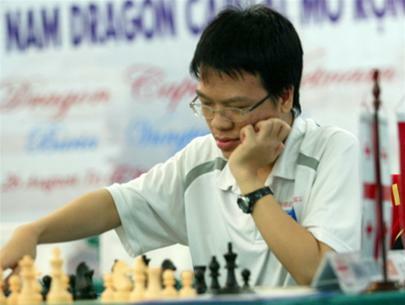 His Elo rating is 2,662 points, just seven short of the points needed to re-enter the Super Grandmaster group. GM Nguyen Ngoc Truong Son also jumped 10 spots to 81st in the rankings. He has won a ticket to compete at the World Cup next year.